History and Folklore of the Whiteshell Park South: Republished. Everyone has a story from the lake. Whether it’s a story about your favourite weekend at the lake, the biggest fish you caught, or the day you finished building the family cabin, the stories and events that happen at the lake tend to stick with people throughout the years. Every cottager or local has a story about how or why they came to the lake. And in the Southeast Whiteshell, some of those stories date back to the 1930s or 1940s. The republished History and Folklore of the Whiteshell Park South. Luckily, many of those stories can be found in History and Folklore of the Whiteshell Park South, which has recently been republished. While the book was first published in 1991, author and former Whiteshell-local Olive Zimmerman has been documenting life in the Whiteshell ever since the ice froze over on West Hawk Lake in 1951. Olive then began to record ice-in and ice-off every year and began to save articles from the Whiteshell Echo, a publication that she wrote for at the time. Olive’s husband, Adolph Zimmerman, came to the Whiteshell before World War II and throughout the years worked as a carpenter, a diamond driller at the Star Lake gold mine, and for Manitoba Conservation. 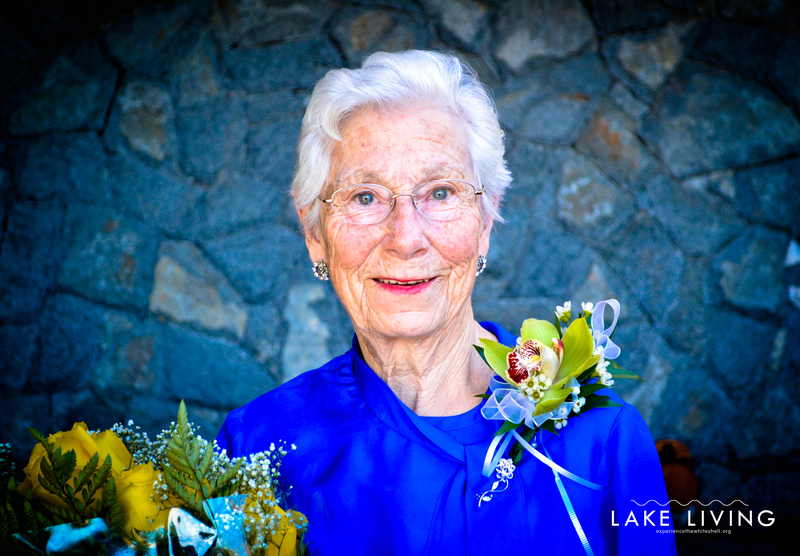 Olive, who had originally hailed from Desford, MB and now lives on Vancouver Island, came to the Whiteshell in 1950. Olive got a job as a waitress at the Trans-Canada Restaurant, which is now the West Hawk Inn Bar & Grill, and packed her bags and moved to West Hawk Lake for the summer. However, that summer turned into a permanent life for Olive for nearly 50 years. 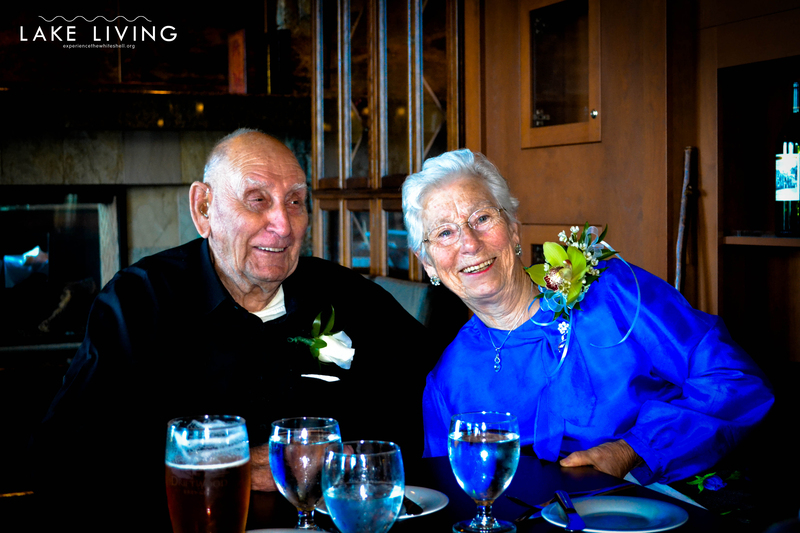 Olive and Adolph were married in 1951 and it wasn’t long after that Olive started to make notes and record things that happened in the community, even though she didn’t really know what she was going to use the material for. 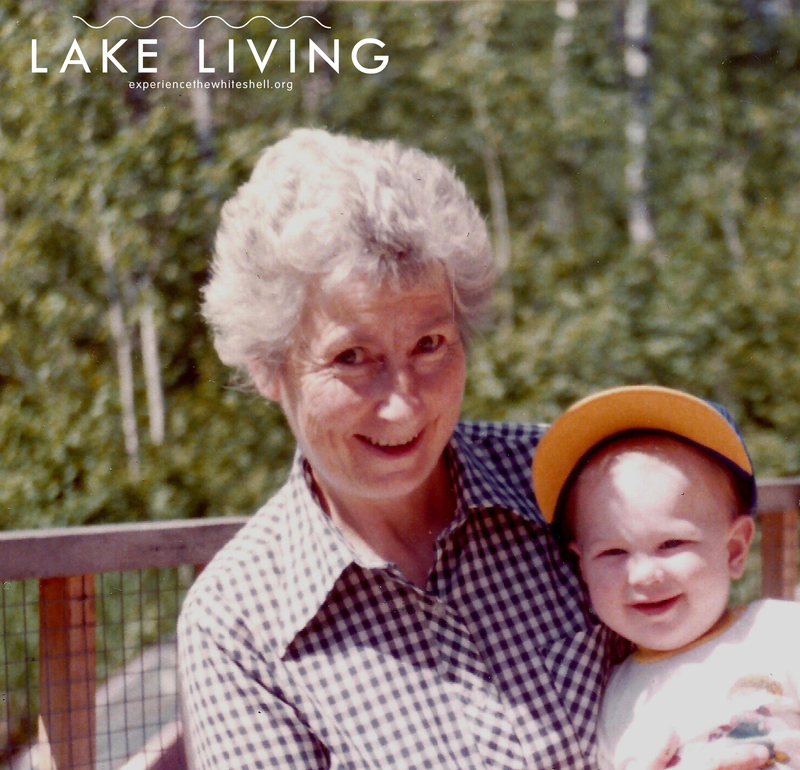 Between 1958 and 1962, while they still owned and operated Lakeside Cabins on West Hawk Lake, Olive really began to record bits and pieces of local events that would make history. She continued to do so after they sold that business and moved to the junction of Highway 301 and the Toniata Road. At this time Adolph had started on permanent staff with the Department of Highways while the scale was still located in the West Hawk townsite, before the Highway 1 location opened. He moved on to the new location by the Ontario border, while continuing to help cottagers with their cottage and dock repairs and working on his trap line during the winter months. Olive helped with their propane business on Highway 301. That along with raising two children, pursuing her interests in crafts, and helping in the community still did not keep Olive busy enough. She continued her hobby as the local historian. Being locals, Olive and Adolph knew a lot of people in the area and Olive began to encourage others to write stories about their family cottages or homes. That’s how she got the story of an archaeology dig on Caddy Lake, or the one of the old time residents who took a cast iron stove apart to make several trips across Falcon Lake, and then reassembled it when they got to their cottage, along with many other interesting stories found in her book. Finally after years and years of collecting information, Olive decided to publish it as a history book. History and Folklore of the Whiteshell Park South was first published in 1991, and has now been republished, thanks to Paul and Marg Duncan. The republished version includes all of the original material, and now includes an index and some added information about the recent upgrades to the school, the medical centre, and to the West Hawk Lake townsite. “I really like what they have done to my book, and I love the cover,” said Olive. Olive added that it is now up to the next generation to publish the next bit of history in the Whiteshell. 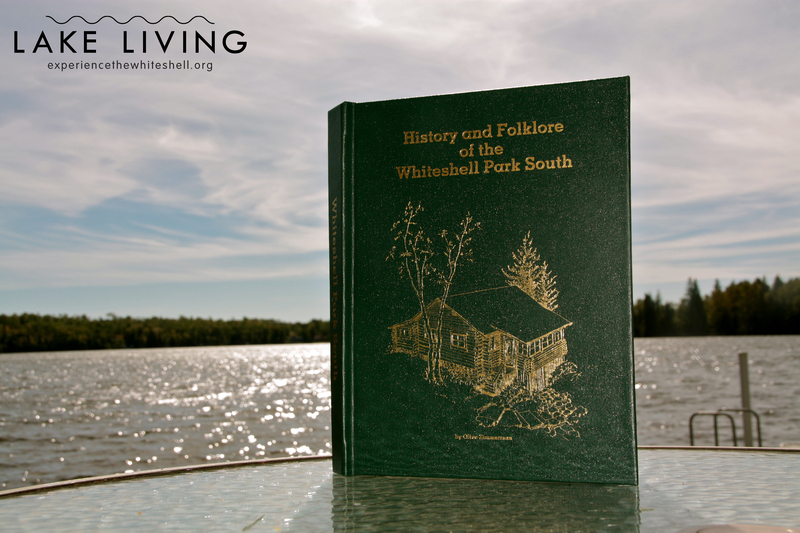 The republished edition of History and Folklore of the Whiteshell Park South is available for purchase in local businesses in the Southeast Whiteshell. This entry was tagged Barren Lake, Caddy Lake, Falcon Lake, History and Folklore of the Whiteshell Park South, Ingolf, Southeast Whiteshell Provincial Park, Star Lake, West Hawk Lake. Bookmark the permalink. Olive and Adolph were 2 irreplaceable members of this community. Yes, Olive and her husband contributed tremendously to the community! I remember Mrs.Zimmerman from when my family lived in falcon lake. Those were wonderful years for me some of my best memories of my childhood. I hope to find a way to get my hands on her book. I have the original book. Furthermore, it is signed by Olive Zimmerman. Willing to sell. Open to offers. Great story…loved learning more of the history of this great place, and some of the memorable folks who were such an integral part of it. Any chance of ordering this book online? Sorry for the delayed reply. The book is not available for purchase online, but if you can’t get out to the Whiteshell to buy it you can contact Marg Duncan at duncan@prairie-sky.com or call her at 1(204)-349-8587 and she can send one to you. Thanks so much, Marney — I will do just that!